This article will review how to switch a committee for another committee within a case. 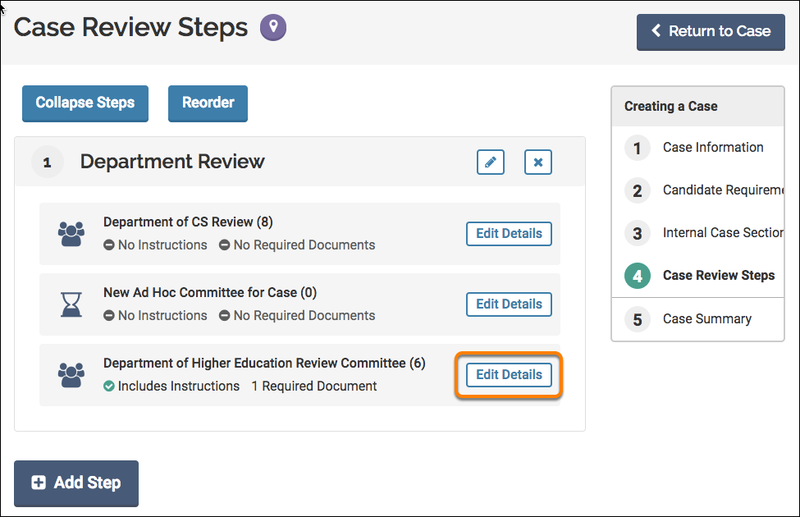 This resource will prove useful for those who used a placeholder, or a blank committee in lieu of the actual committee when they were setting up their RPT case. This article will start with the relevant case where you would like to perform the switch. 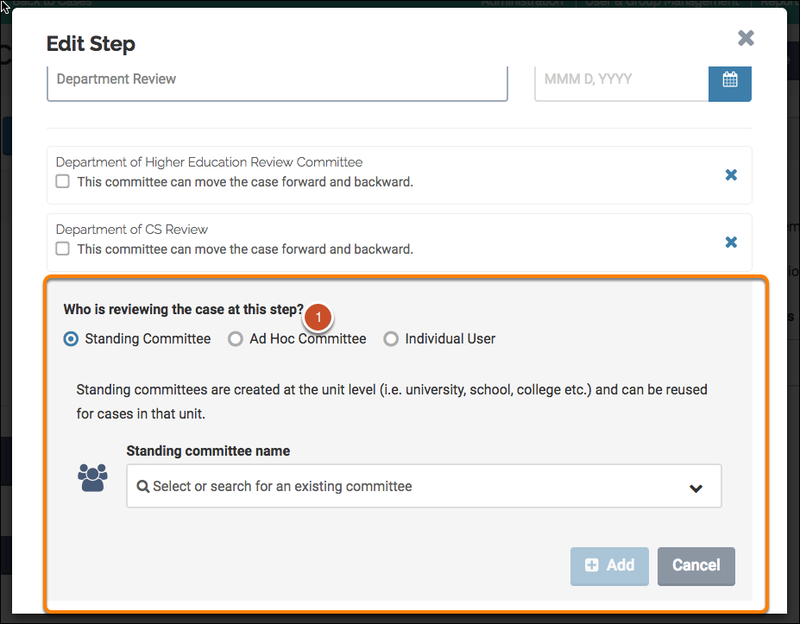 Click on the Edit Pencil button in the relevant step, where you will be replacing the committee. 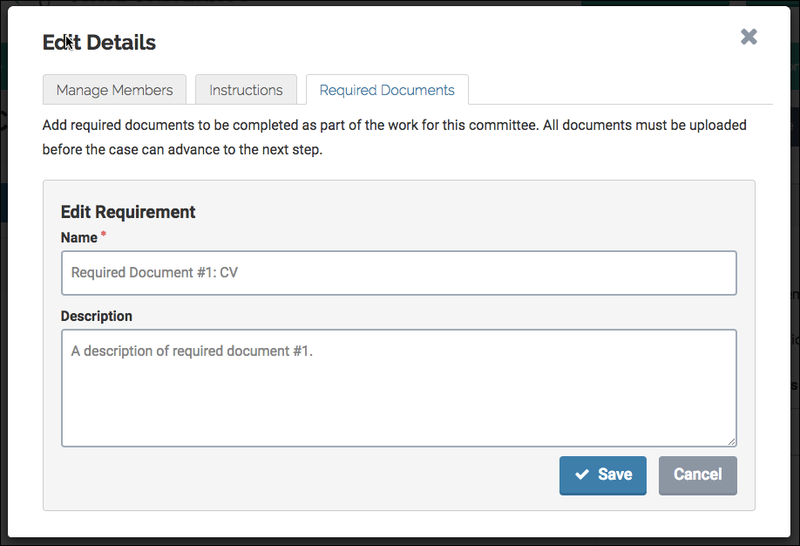 The page will load and all associated committees will display on the 'Edit Step' screen. If you wish to use the exact details and requirements that are currently in a committee or placeholder committee than it is very important that you do not remove the committee before you are able to save the information in an external word processor. 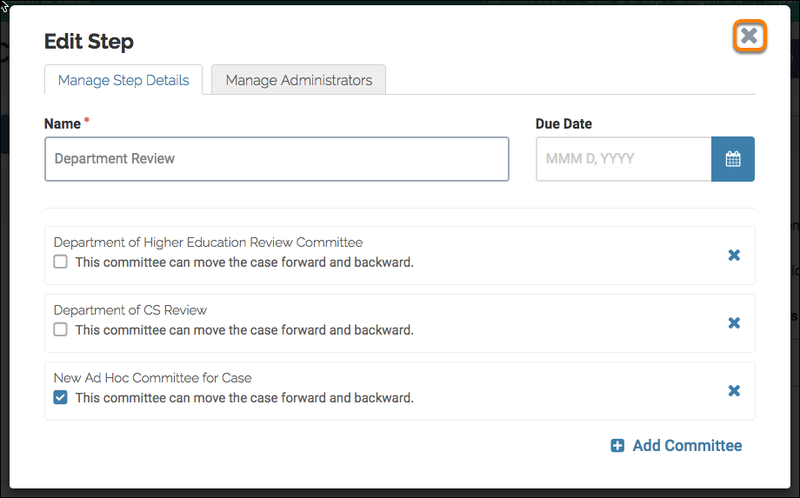 If you click the X symbol on the right, that removes a committee from a case, all of the associated description information and all required document information will be immediately lost. Select the Add Committee button in the bottom right corner of the window. 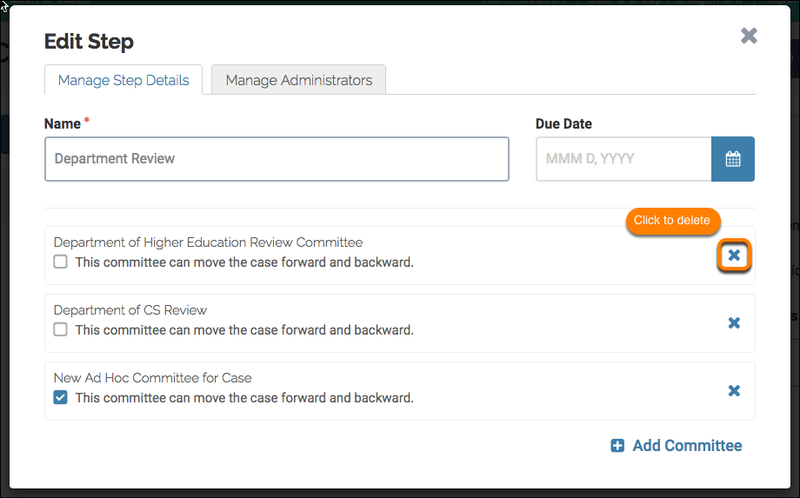 The window that is displayed will expand and the relevant options to add a committee will show at the bottom. For this example, we will be adding an Ad Hoc committee. But you can choose any available options. Click the Ad Hoc Committee radial selector. Click the Add button int he bottom right corner. After you have finished adding the committee to the case, you should add any relevant instructions or required documents. Follow the link above, or expand the collapsed section below to learn how this information from the 'old' committee, that is being replaced. This next section of the article will focus on pulling descriptions and required documents information that has been entered into an existing committee. Then this information will be entered into the newly created committee that will replace the aforementioned, existing committee. Close the 'Edit Step' window that remains on the screen from the previous steps. You will be then brought to the Case Review Steps screen. It is important to NOT remove the existing committee until the information from the committee has been preserved. 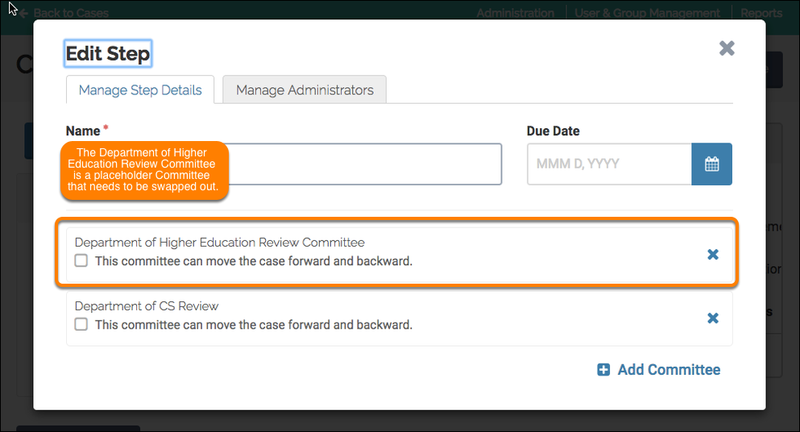 Click the 'Edit Details' button to view the stored information in the existing committee. Click the Instruction tab, the information will then be displayed. Putting the information into a word processor will allow you to easily copy and paste all of the text without having to repeat steps. 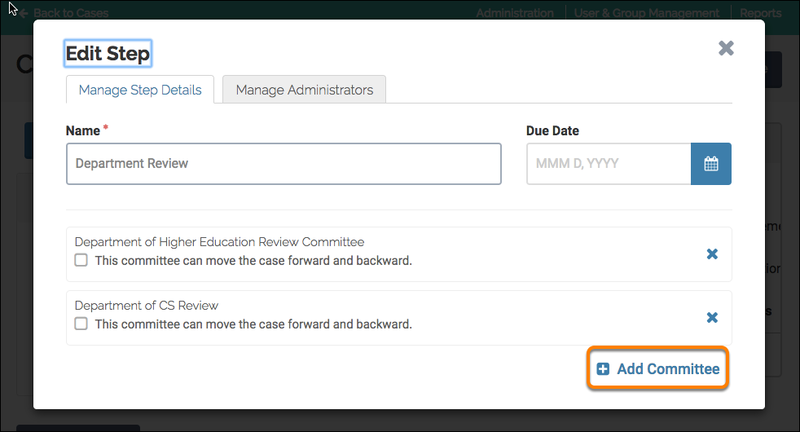 Next focus on the required documents section, click the tab at the top of the window. 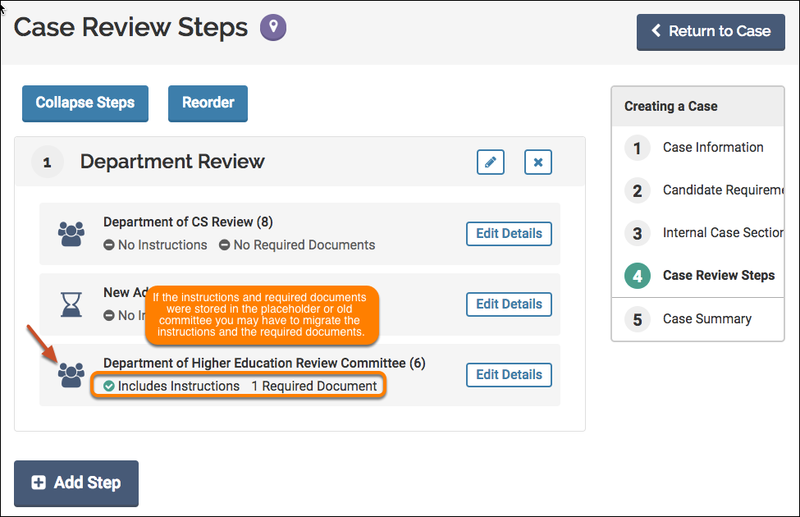 Click the Edit Pencil next to the relevant Required Documents. Copy and paste the titles and description of the required document into an external word processor. Repeat for all Required Documents. After you have completed copying all of the relevant information, you must close this window. 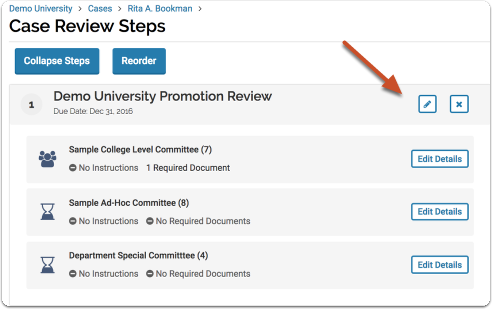 After closing the window, you should be on the Case Review Steps page. 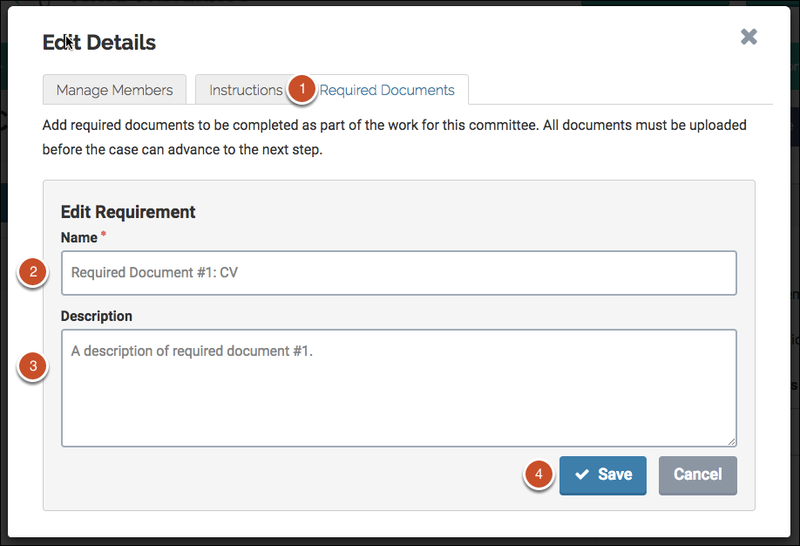 Open the 'NEW' commitee to paste the instructions and the required documents there. 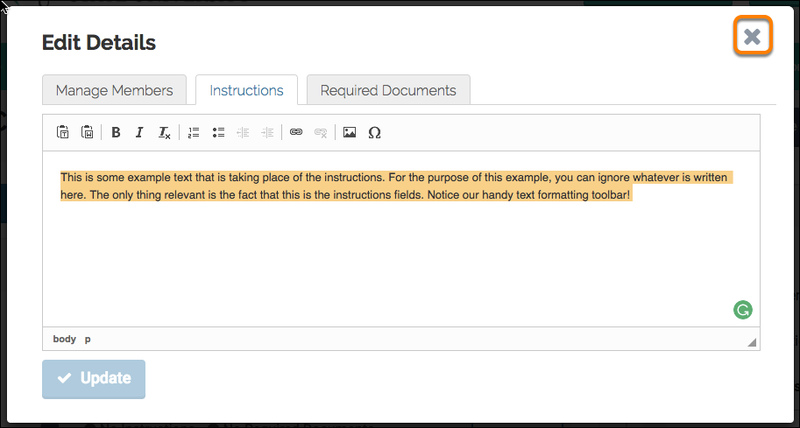 PASTE the information from the word processor to the Instructions textbox. Click the Update button when finished adding information to the section. 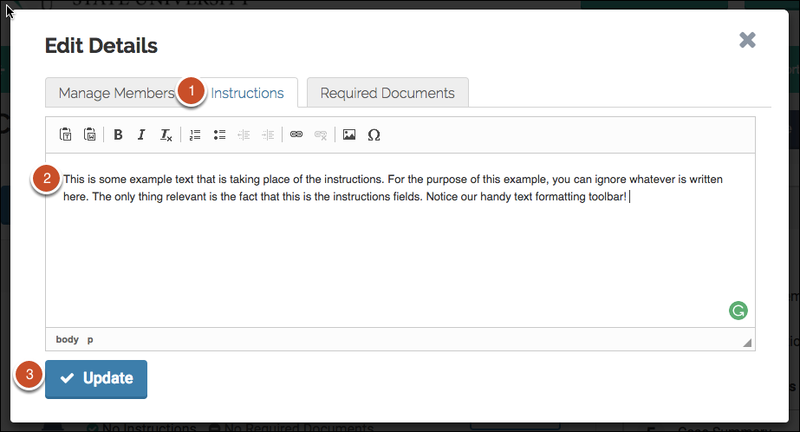 After adding the Instructions description, click the Required Documents tab. 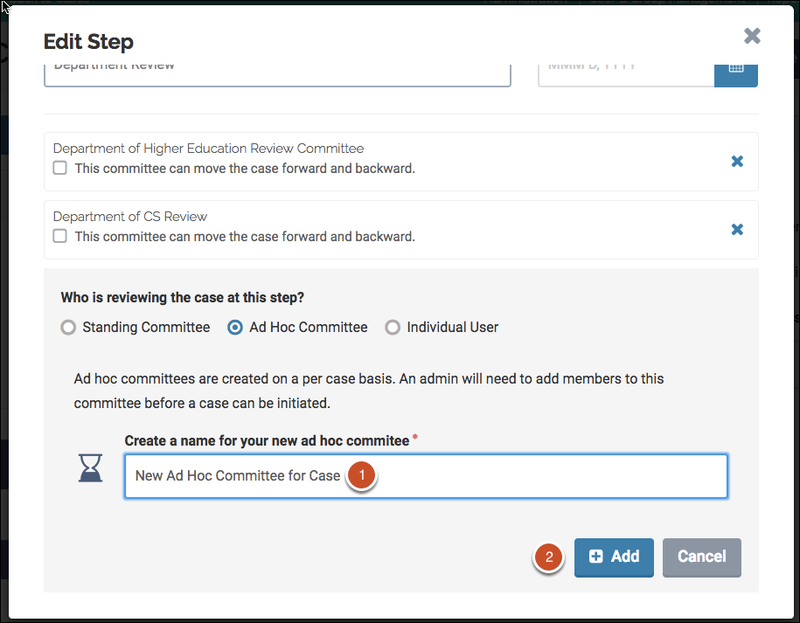 To remove a Committee from a Case, click the X symbol next to the relevant committe. 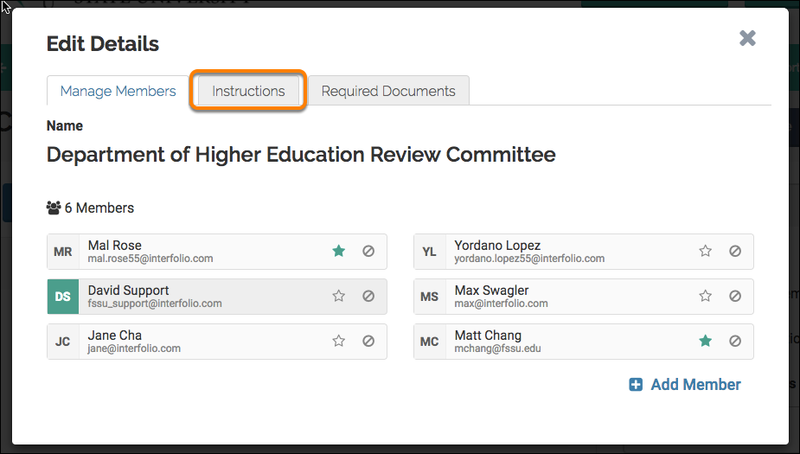 Upon clicking the X symbol, all description and required document information stored in that committee will be lost.